How much does country of origin impact chocolate flavor? 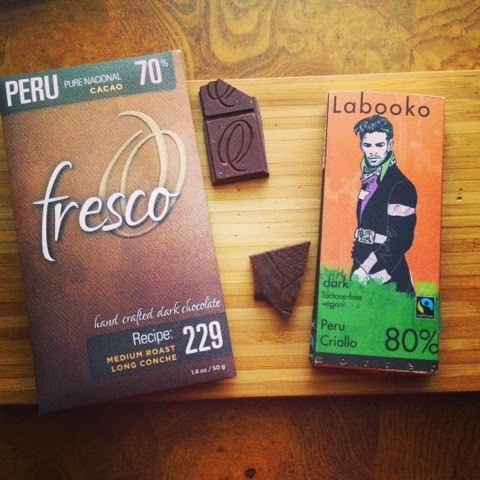 A comparison of Fresco and Zotter Labooko bars, both from Peru. but don't rely solely on that factor to find your next favorite bar. Regions within a country of origin can be vastly different as they are in these two bars. Both are from Peru however flavor notes are worlds apart. The Fresco bar made with Maranon beans reminded me grapefruit, green bananas, and had a deep dark low coffee like note just under the surface. The Labooko made by Zotter Chocolate bar was nutty with cashew butter notes and finished on a dairy/yogurt twang. Worlds apart and both fantastic in their own way. The lesson here: Keep exploring, finding fine chocolate is an adventure. Track the bars you taste in some manner. I've been writing notes on the back or inside of the wrappers. It helps me to recognize patterns I taste in origin as we as the influence of the chocolate maker.